As one of the big names in car manufacturing Toyota has pledged to boost the autonomous vehicle industry. 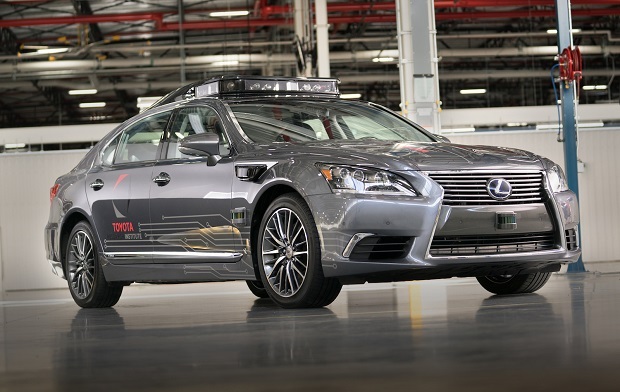 In partnership with TMC, Aisin Seiki, Denso Corporation they will invest of up to 2.8 billion (USD) to develop self-driving vehicle technology. The partnership has formed the Toyota Research Institute-Advanced Development (TRI-AD). While they're still working out the finer details their joint venture, one clear objective is to develop "fully-integrated, production-quality software for automated driving." "Building production-quality software is a critical success factor for Toyota's automated driving program. This company's mission is to accelerate software development in a more effective and disruptive way, by augmenting the Toyota Group's capability through the hiring of world-class software engineers", said Dr. James Kuffner, CEO of TRI-AD. "We will recruit globally, and I am thrilled to lead this effort." Toyota Research Institute-Advanced Development will be based in Tokyo. They will join other Silicon Valley companies trying to create the same or similar solution for self-driving cars. Waymo, which started as the self-driving car project inside Google has partnered with Fiat-Chrysler in developing its self-driving vehicles. Aurora recently agreed to provide its own self-driving technology to Volkswagen and Hyundai. Other car makers such as GM is nearing the release of its own fully self-driving Chevy Bolt, and Ford has accelerated its efforts to create an autonomous car after investing 1 billion (USD) into a small AI start-up called Argo.